Guys! Hold on! At least 'till he does my Camino!! Wallyuph wrote: Don't sell your self short on pricing. I was told this statement a long time ago when I first went into self employment. "The difference between getting $10.00 or $25.00 or what ever amount is asking"
"If you're not getting any complaints, you're priced too low." Finished about an hour ago. Gonna make a few changes tonight and re-upload. Damn, dude, that's fantastic! Did that start as a photo, or did you make that from scratch? The back ground is a photo. The car is from scratch. I used a couple different photos for inspiration. Kind of a collage of photos and imagination. Thanks. Check out my new site that I just setup. Very nice, looks like you hit the big time. That's pretty cool. I signed up for your news letter so can see if all your links are working. Good for you man...get your name out there! Chris - You know I could use the inspiration of a rendering too. And for what you want I'm surprised you've got time for anything else. PM me with the details of what you need / want. BTW - like the web site, looks very slick. driveit wrote: Thanks. Check out my new site that I just setup. you need to put your mane across the car or something. dont let scammers steel your copy rights. Thanks every one. I can do the design, but I don't have a cutter yet. Here are a couple updates. He wanted the truck blue rather than black. Didn't like just the blue myself so I tried it with blue and black. Tell him the two-tone looks way better. I don't think he has seen it yet, but I will. 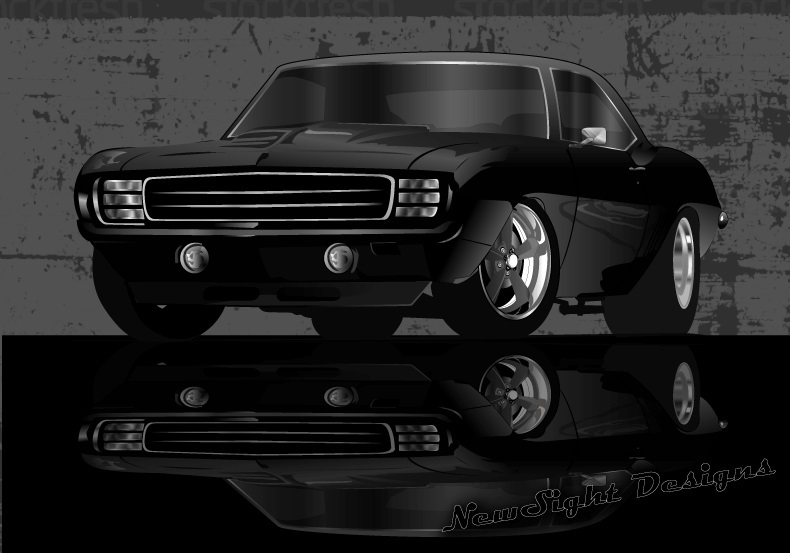 Updated on the camaro I did. He wanted to add the side mirror and and add a bit more sidewall in the back. lol I am working on it. Just a little backed up right now. but what happened to the red,blue and gray? btw-are those the camaro wheels? 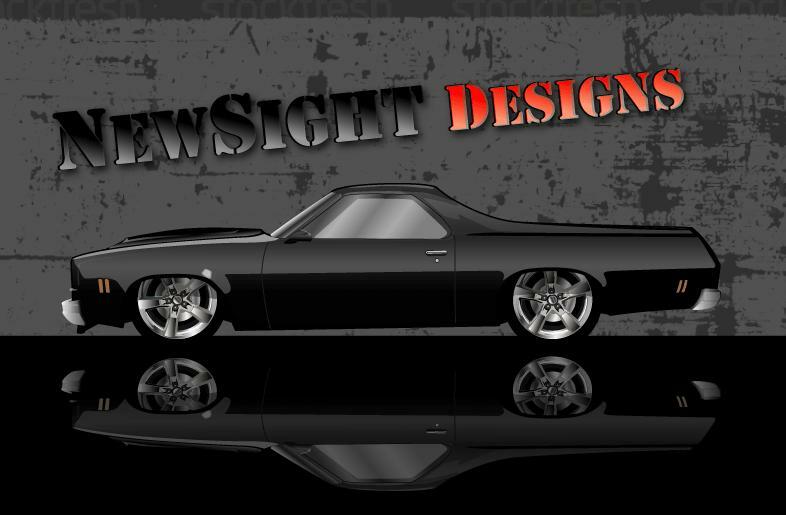 nice work, but does he want the "earl" elcamino to be unrecognizable?.